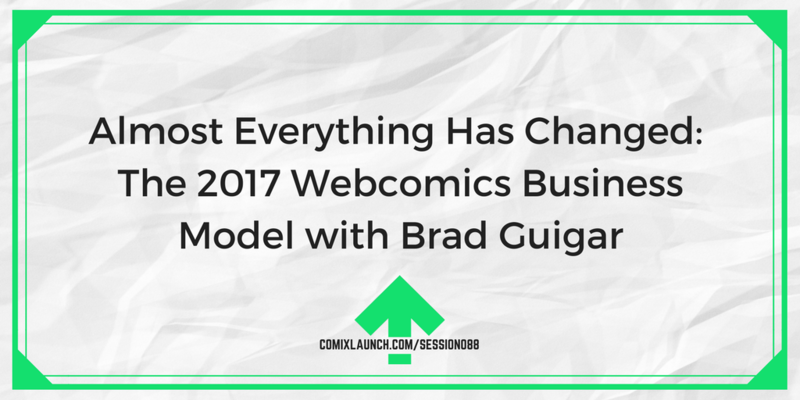 In today’s show, veteran webcartoonist Brad Guigar (Evil, Inc.) drops an onslaught of mega-ton knowledge bombs on everything from Kickstarter to Patreon to creating better comics. You’re going to want to listen to this session at least twice! The state of the webcomics business model in 2017 from the guy who literally wrote the book on webcomics. What Brad wishes he focused more on in the early days. Plus: The art of the pivot. 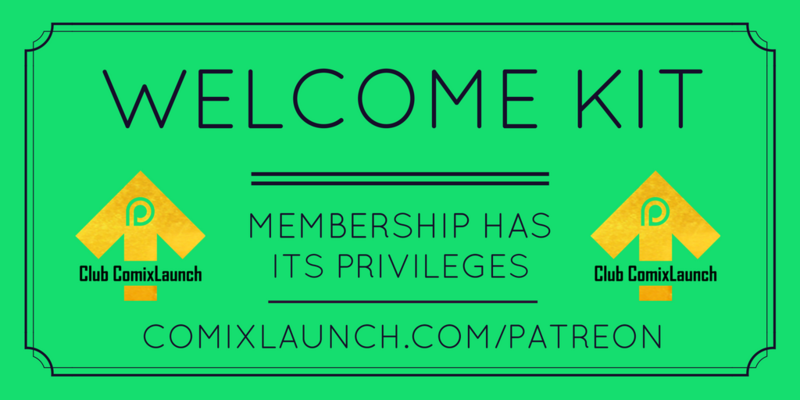 This is the next big phase of ComixLaunch, and I’m excited to be taking this next step… and in the process, getting a better understanding of the Patreon platform, which we’re currently diving deep into on the podcast. 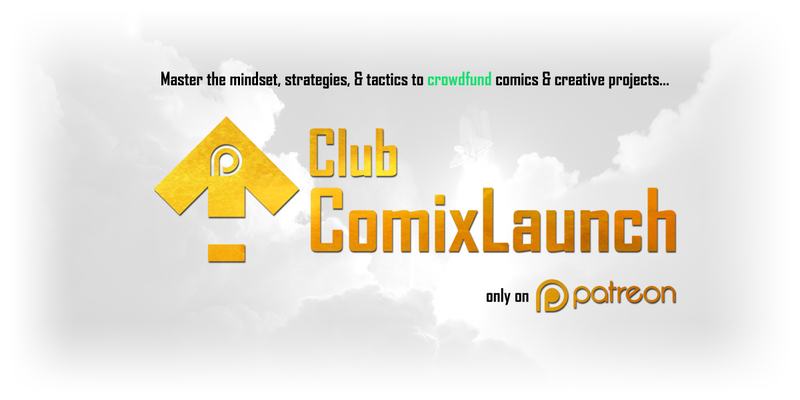 Club ComixLaunch is a way to help us continue and expand on the ComixLaunch mission, and add even more value for creators like you who are looking to harness the power of crowdfunding to bring creative projects to life. Shout outs to you and your projects on the show. Access to bonus lessons on the Club Exclusive Patreon Feed. A VIP INSIDER Bonus resource (Guide, cheat sheet, checklist, video, template, etc.) designed to help you launch. Advance looks at future ComixLaunch books and resources. Jot down 10 ideas for exclusive content that your audience might be willing to pay for? It’s okay if you don’t know… Brad didn’t when he started. What’s not okay is if you’re not actively trying to find out. Brad runs the community at Webcomics.com. Buy The Webcomics Handbook at Amazon. Check out Brad’s webcomic Evil Inc.
And check out Brad’s Patreon page. And there are just a few days left in Brad’s latest Kickstarter campaign. 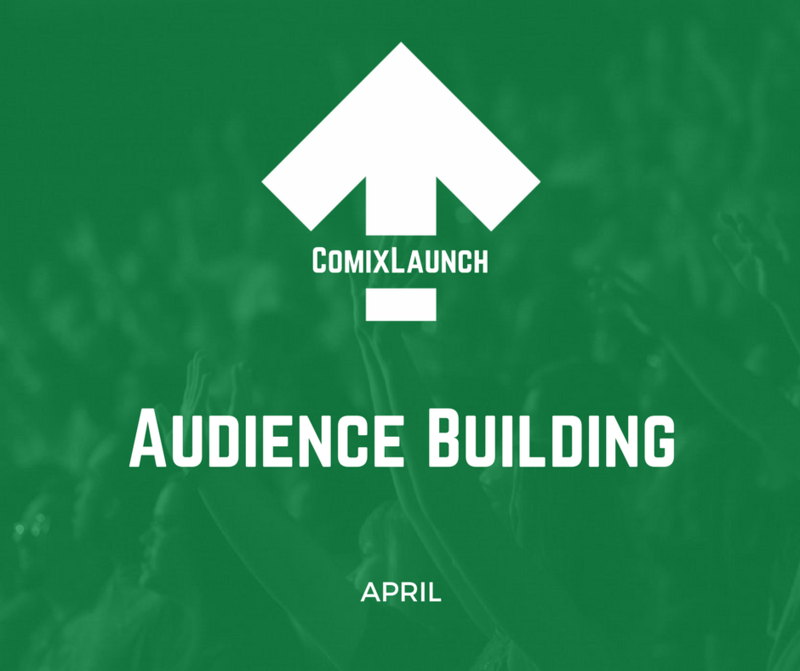 April is Audience Building Month on ComixLaunch. The biggest reason creators don’t launch is fear of failure. The biggest reason projects fail is failure to build and ready an audience for the project. So, in the month of April we’ll do episodes and interviews focused building your audience in different areas and on different platforms. There will also be audience building Facebook ComixLunch live streams over at Facebook.com/comixlaunch all throughout April. There will be extra bonus strategies for Club ComixLaunch members, so if you’re not yet a member ComixLaunch.com/patreon. And, I may even put together another challenge… Either late April or early May for those of you who want a little extra support in getting this thing rolling. Either late April or early May for those of you who want a little extra support in getting this audience growth thing turbo-charged. This month, Kickstarter is encouraging creators to launch one-week campaigns? We’ll talk the whys, the hows and whether the #Allin1 initiative is right for you. Why I think Kickstarter has launched the Allin1 initiative, and how it fits into an overall focus for Kickstarter this year. 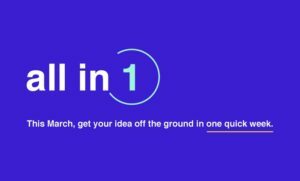 Kickstarter’s advice to Creator’s launching Allin1 Projects. 4 Killer ideas for great allin1 projects for comic book creators. Plus: Why Allin1 isn’t right for everyone. Send me an idea for a one week Kickstarter campaign that you will not use. 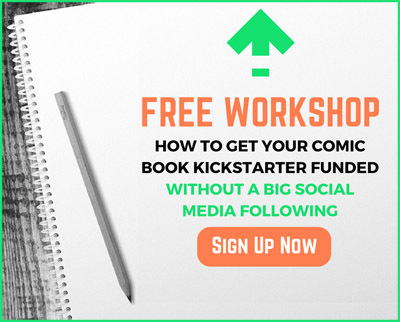 Want to Learn How to Easily Create a Kickstarter Page Backers Will Trust, Fund & Spread Like Wildfire? 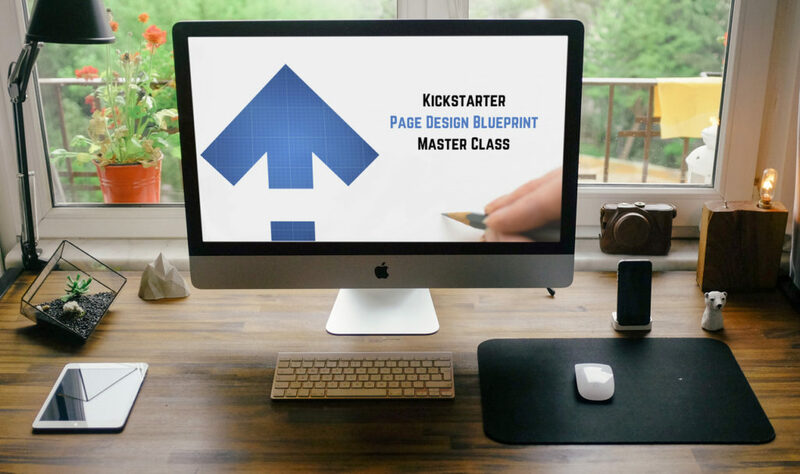 Learn the step-by-step blueprint I use to create effective, eye-catching, pro-looking Kickstarter pages that include all the right information in exactly the right sequence to make backers scream “Take my money!”… WITHOUT costing a fortune or taking forever to build. I’m teaching a live Master Class on Kickstarter Page Design Saturday, May 18, from 1-4 PM EDT. Every Kickstarter campaign reveals multiple creative lessons and business breakthroughs. In this session, Tyler James shares the top lesson learned from each of his first 5 successful Kickstarter campaigns. The power of adding a premium offer to your campaign. Rules for adding buffer to your fulfillment time-table. The huge mistake of not following your own advice. Plus: Reliably adding 9% extra in funding AFTER your campaign has ended. Sketch out your next 5 campaign ideas. Every Kickstarter campaign reveals multiple creative lessons and business breakthroughs. In this session, Tyler James shares the top lesson learned from each of his first 5 successful Kickstarter campaigns that raised over $100,000.00 in funding with the support of over 2,500 backers. Plus: A few live Qs sprinkled in. What are you doing every week that you should be documenting? What would you, two years ago, want to read about? What would you, two years from now, want a record of? “High-Quality Work = Time Spent x Intensity of Focus” from the book Deep Work by Cal Newport.